The enormous tax relief will also add tens of billions of dollars to Aramco's coffers at a time of growing concern over how much the world's largest oil company is actually worth. The reduced tax rate announced by Saudi Arabia could add $1 trillion to Aramco's valuation, according to Rystad Energy. The research firm now pegs Aramco's valuation at $1.4 trillion, compared with just $400 billion previously. "This tax change has a huge impact," Rystad wrote in a report on Tuesday. "This change implies more money is left for Saudi Aramco, which makes the company more attractive for investors." 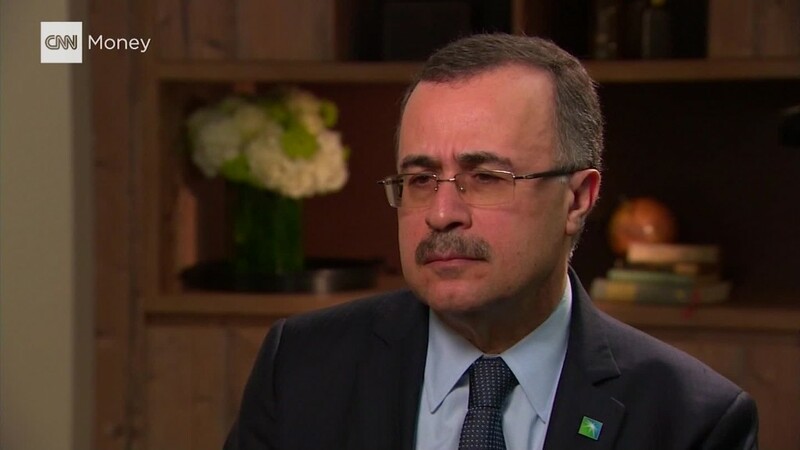 Aramco CEO Amin Nasser cheered Saudi Arabia's tax shift as "another positive step in the diversification of the kingdom's economy." Saudi Arabia is the world's largest oil exporter, but its finances have been hobbled by the supply glut created in large part by the U.S. shale oil revolution. OPEC's efforts to drown shale producers in cheap crude sent oil prices crashing to levels far below what Saudi Arabia needs to balance its budget. The kingdom has been forced to lay off workers, remove generous subsidies and sell debt to the public. Last year, Saudi Arabia announced a new strategy dubbed Vision 2030 that aims to break the country's "addiction" to crude. A key component of that plan is to sell a stake in Aramco to the public and then invest the proceeds at home and abroad. Aramco told CNNMoney in January that its IPO is still on schedule for 2018 and the company recently tapped a small U.S. investment bank to be the offering's sole independent adviser. Saudi Arabia Finance Minister Mohammed bin Abdullah Al-Jadaan stressed that its tax break on Aramco and other large oil companies will have "no impact on the government's ability to deliver services to its citizens."